In November 2016, JFAR’s board voted to commit officially to raising the remaining $100,000 needed to support a Magen David Adom Emergency Station at JNF’s new Rescue Center in the Central Arava. Thanks to all those who donated JFAR has now met its commitment to fund the project. The Central Arava is an arid desert region in southern Israel that is considered the most remote part of the country. It is located along the Jordanian border between the Dead Sea and Red Sea, about 80 miles from the nearest cities of Be’er Sheve and Eilat. The area is more than 370,000 acres—approximately 6% of Israel’s total land mass—but is inhabited by just 3,200 people scattered throughout seven communities. Residents face many challenges, including the desert climate, the large distance between communities and the lack of accessibility to resources available in urban centers. In partnership with the Central Arava Regional Council and the Israeli government, Jewish National Fund built a world-class medical center in Sapir, the regional center, to replace the dilapidated 40-year-old clinic and provide quality care in a professional environment. The further development of the Arava depends on the region’s ability to provide basic public services to its current and future residents. 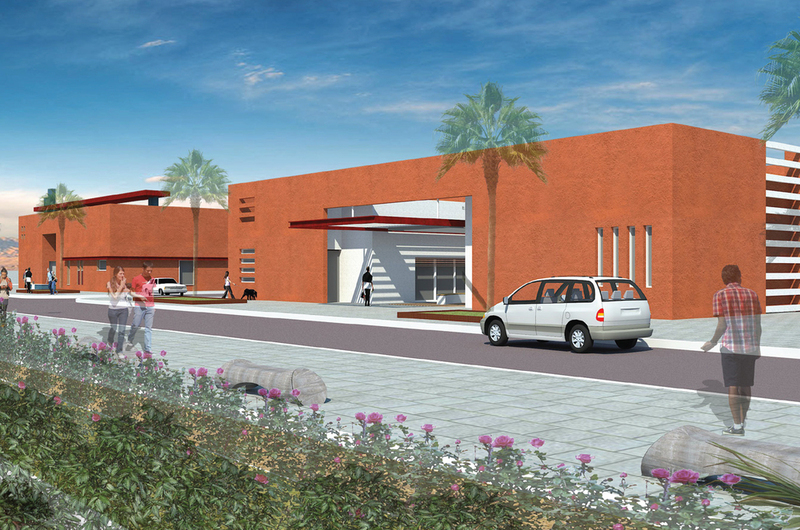 The second phase of construction is to build a Rescue Center, adjacent to the medical center. The rescue center will serve as a central command station for the area, housing both police and fire personnel. The current infrastructure does not meet government standards for facing security and emergency needs in the region. The police, fire and medical emergency personnel are currently housed in temporary buildings in Sapir. The new, unified structure will gather together all essential emergency units, allowing a more coordinated, efficient, prompt and functional response to any urgent event or crisis. This facility will be ready to operate professionally in case of a war, earthquake, fire, or any event that endangers the lives of the residents. Thank you again to all who donated and enabled us to meet our commitment to the project. To read an informative report by Congregation B'nai Israel's Rabbi Barry Block on the congregation's visit to the JNF-JFAR project site during its recent Mission to Israel, click here.